* The Hairless and Powderpuff can come from the same litter. * Life Span – Up to 15 years. Feeding the best dog food possible, exercise and regular Vet check-ups will help to assure a long, healthy life. 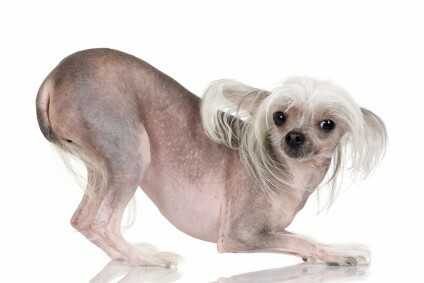 * Hairless Chinese Crested has soft human-like skin, fur on paws and long hair on the head (crest) and tail. Lacks a full set of teeth. 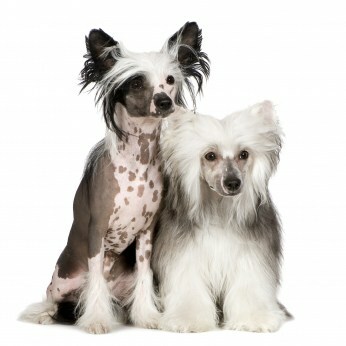 * Powderpuff Chinese Crested has a thick double coat. * Not prone to fleas and ticks. * Height 10 inches. Weight not over 10 lbs. 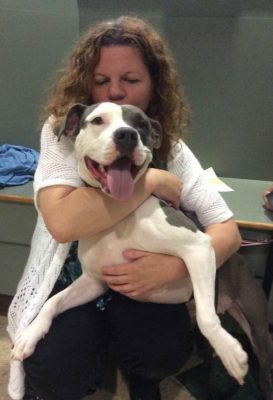 * Loving, playful, loves to hug. * Loves children but children must be careful with them because they are fragile. * Very attached to owners. * Alert and entertaining, easily taught tricks. * Loves to dig and climb. * The Hairless Crested needs regular skin massages with body oil and needs to be bathed frequently. * Can get acne and sunburns easily. Be careful not to expose to the sun for extended periods. * Powderpuffs need brushed regularly.